The school library is open for all pupils before and after school and at break and lunch times daily. The library offers several special events throughout the year, including visits from local authors. Nicola Pierce, author of “The Spirit of the Titanic” visited during this year’s World Book Day Celebrations. 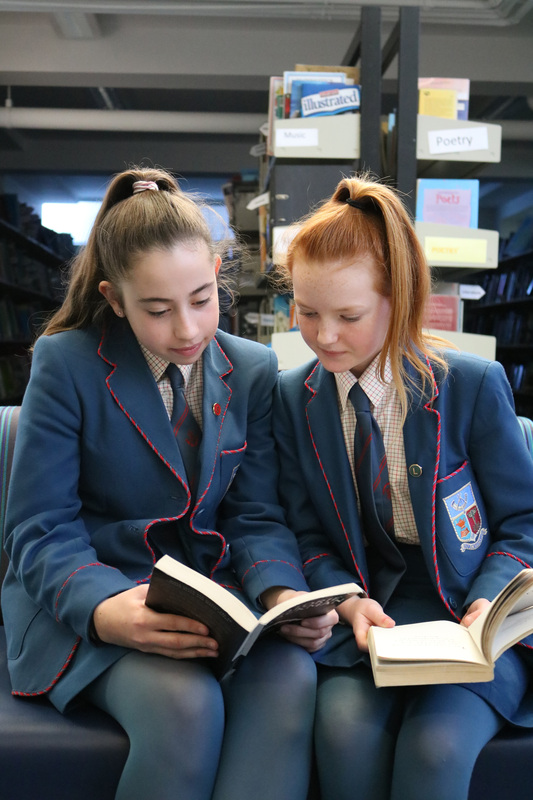 The senior reading club has cross-school links with Belfast Inst. and meet once a month in Waterstones. Christmas Celebrations in the library are often a great success with the eagerly anticipated “Teacher Taste Test” a particular favorite with the girls.